Springing from their April release with Ferry Corsten, “Collision”, and March’s success, “Duckface”, Bassjackers celebrate 100k fans with a free download, “Crackin”. For the Dutch duo, the seemingly unobtainable has quickly become a reality, climbing the electronic ladder of fame with one production and collaboration after another. 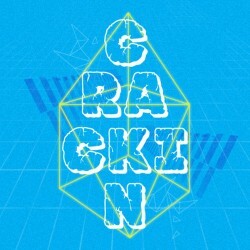 “Crackin” seems to recognize this, a triumphant fanfare of synth with a teaser of a second drop that would make a powerful addition to any setlist. Like the majority of the industry, Bassjakcers will be performing at EDC Las Vegas the Friday, then at New York’s Webster Hall Saturday night. Jordy Dazz and Bassjackers release electro banger, "Battle"